THE heyday of holiday trains over the former Ruabon to Barmouth route will provide the inspiration for the Llangollen Railway’s October 12-14 steam gala. 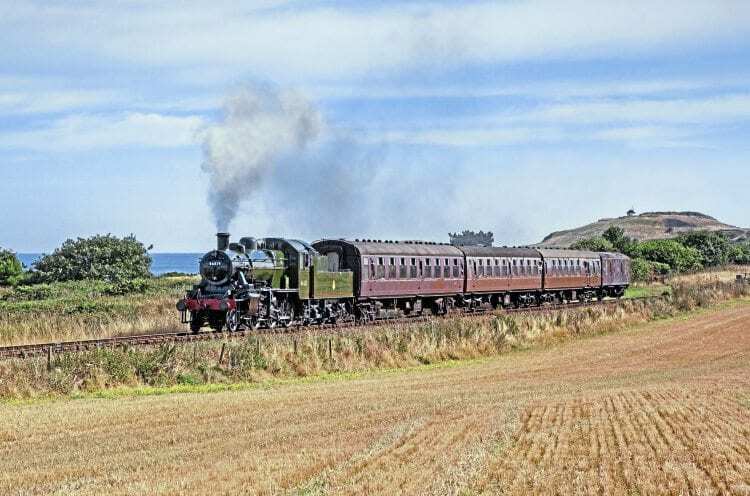 Along Cambrian Lines 2 will celebrate the final decades of the cross-country line, which conveyed holidaymakers from the likes of Cheshire, the Wirral and Manchester to the Cambrian coast for almost 100 years until closure on January 16, 1965. The Llangollen Railway occupies around 10 miles of the route, while the narrow gauge Bala Lake Railway is laid on part of the formation between Bala and Llanuwchllyn. Even the section which ran along the shores of the Mawddach Estuary, between Dolgellau and Morfa Mawddach, remains in use as a cycleway. Loughborough-based Ivatt ‘2MT’ 2-6-0 No. 46521 is set to return to Llangollen for the event, which it last visited in 2014. The Mogul has a strong Welsh heritage, having been allocated to Oswestry, Brecon and Machynlleth sheds during its career. Read more in the September issue of The RM – on sale now!